Dread (2010) is a psychological thriller and unflinching horror film from first time director Anthony DiBlasi, originally released as part of the After Dark Horrorfest 4 (8 Films to Die For) from After Dark Films. Based on a short story by horror icon Clive Barker, it follows a trio of grad students making a thesis film about the nature of fear and dread. The film opens with a young buy, Quaid, witnessing the brutal murder of his parents by an axe-wielding maniac. The traumatized boy grows into a troubled young man, played by Shaun Evans. Haunted by his own psychological torment, he recruits two film students to help him make a documentary about fear for a school thesis. His cohorts are the sensitive and empathetic Stephen (Jackson Rathborne) and his love interest, the beautiful and guarded Cheryl (Hanne Steen). Like Quaid, both Stephen and Cheryl harbor their own inner demons, which they reveal to Quaid. In addition to getting Stephen and Cheryl to confess their darkest fears, Quaid is a master manipulator who also elicits some devastating truths from his interview subjects, including Joshua (Jonathan Readwin) and Abby (Laura Donnelley). Joshua once suffered a temporary deafness and fears it could happen again. Abby is a shy, bookish girl with a huge port-wine birthmark that obscures half of her otherwise beautiful face and covers the right side of her body. For Abby, this is a huge source of anxiety and causes her to feel isolated and undesirable. Her story arc is one of the most compelling…and painfully heartbreaking. Once armed with this damning data, Quaid methodically torments his subjects, gleefully exploiting their greatest weaknesses just to see what will happen. He’s brutal and merciless, completely unsympathetic to the suffering of others. In spite of this, Quaid is severely damaged himself and desperate to assuage his own fears and insecurities. Thus, in spite of his psychopathic cruelty, he is not a completely unsympathetic character. Dread is a real slow burn, deliberately building at a sure and steady pace and taking time to develop the core characters and plot. Reflecting its own title, the film creates a genuine sense of dread as the film slowly unfolds and marches towards its horrific end. DiBlasi does an extraordinary job building multi-dimensional characters, and the cast delivers with compelling, believable performances. The movie looks great, and the cinematography (done by Sam McCurdy, who has worked on all of Neil Marshall’s movies) is excellent. Overall, the film is highly effective and darkly disturbing. DiBlasi makes a remarkable directorial debut, full of enormous promise and potential for genre greatness. 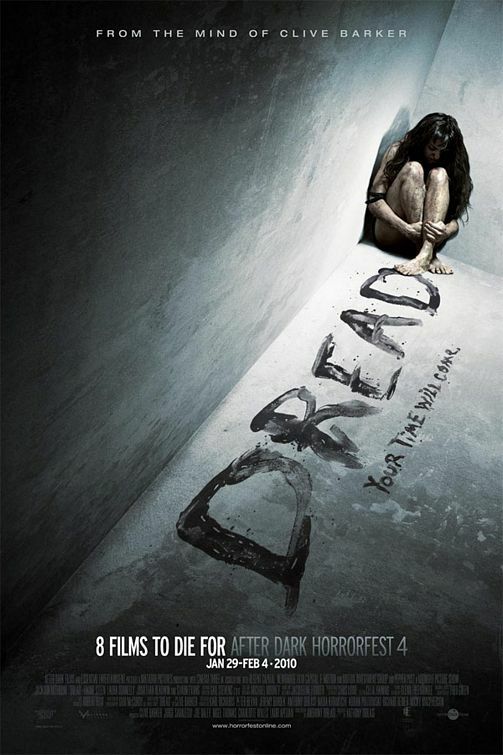 An exceptional debut for director Anthony DiBlasi, Dread is a dark and gritty psychological horror. It’s a slow burning nightmare that offers compelling characters, an intriguing plot (based on a short story by Clive Barker), and an unforgiving climactic ending.